Shipbuilder Fincantieri has won conditional control over French rival STX, which Paris nationalised suddenly in July. The pact defuses a cross-border diplomatic row. But the real battle will be fought over the ownership of a European naval champion that is now in the making. Italy and France on Sept. 27 struck a deal to combine Italian shipbuilder Fincantieri and state-backed peer STX France, ending a bitter spat between the two countries. 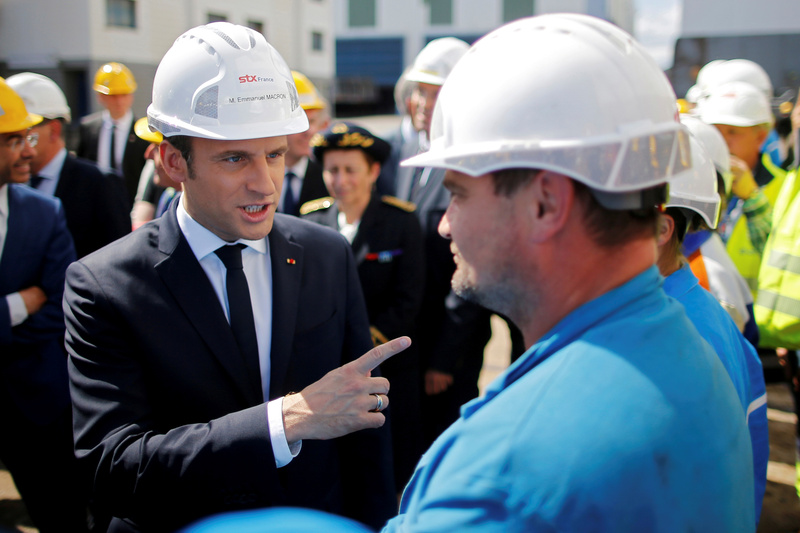 France in July abruptly nationalized STX after Fincantieri agreed in May to pay 79.5 million euros ($93.3 million) for a 67 percent stake from a bankrupt South Korean shipbuilder. The French government owned 33 pct of STX, which operates a key French shipyard for submarines and warships. Fincantieri is indirectly controlled by the Italian state. Under the new deal, Fincantieri will own 50 percent of STX, while the French state will hold 34 percent. French defence company Naval Group will own 10 percent, with the remainder in the hands of STX staff and local suppliers. France will lend a 1 percent stake to Fincantieri for 12 years, giving Italy majority control. However, the French government will retain the right to call back its shares if the Italian company fails to honour commitments on employment, governance and intellectual property. If France recalls the loan, however, Fincantieri could force it to buy back the remaining 50 percent. The two countries also agreed to seek an agreement to create a larger naval group through the merger of Naval Group and Fincantieri by June 2018. Fincantieri shares were down 2 percent at 1.08 euros by 0830 GMT on Sept. 28.